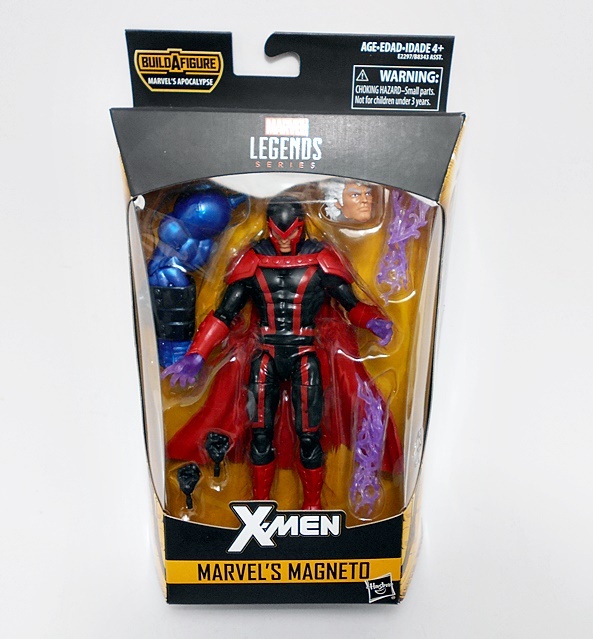 Marvel Monday is here again, and just to show you how far behind on Marvel Legends I truly am, today’s random selection brings me to another Wave that I haven’t ventured into before. 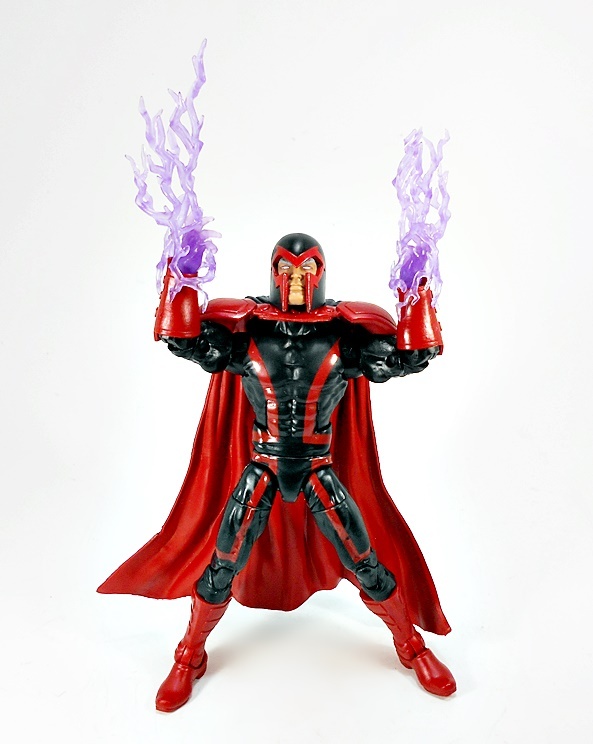 It’s another X-Men themed assortment, this time with the one and only Apocalypse as the Build-A-Figure. 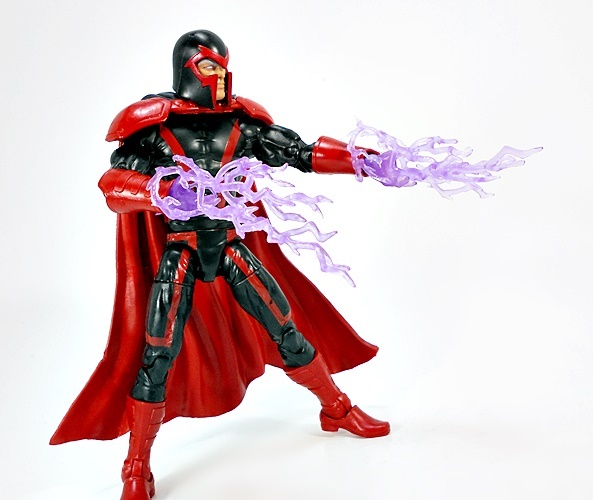 There are some great characters in this wave and today I’m starting out with the Magneto! I’ll confess, I haven’t read an X-Men comic in quite a few years. But that’s more a reflection of my general distaste for Marvel’s comics lately and not a specific rebuke toward the X-Men. Not to mention I have a healthy stack of back issues and trades that I can dip into when I need to show the Mutants some lovin. 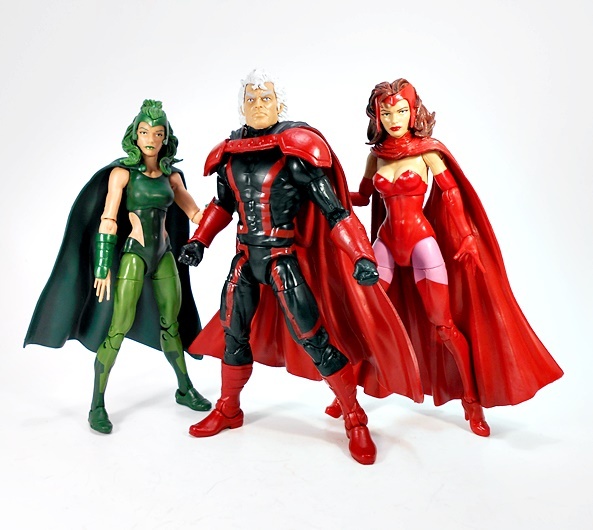 With that having been said, these characters are still near and dear to my heart, and it’s long past time we had Magneto grace the modern Marvel Legends lineup. 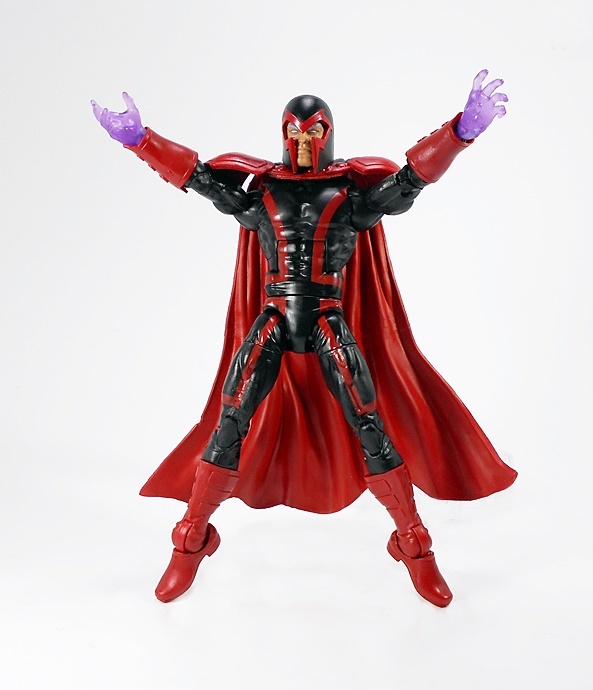 I take it this is what Magneto is wearing these days? It’s far from his iconic classic look, but it’s OK. I’ll confess I dig the black and red a lot more than the black and gray short sleeve look. The body here gets by mostly with paint, so you’ve got a black buck with the red striping. The striping is a little hit and miss. It looks great on the torso, but the legs have some sloppiness and bleed-through. It’s by no means terrible, but could be better. 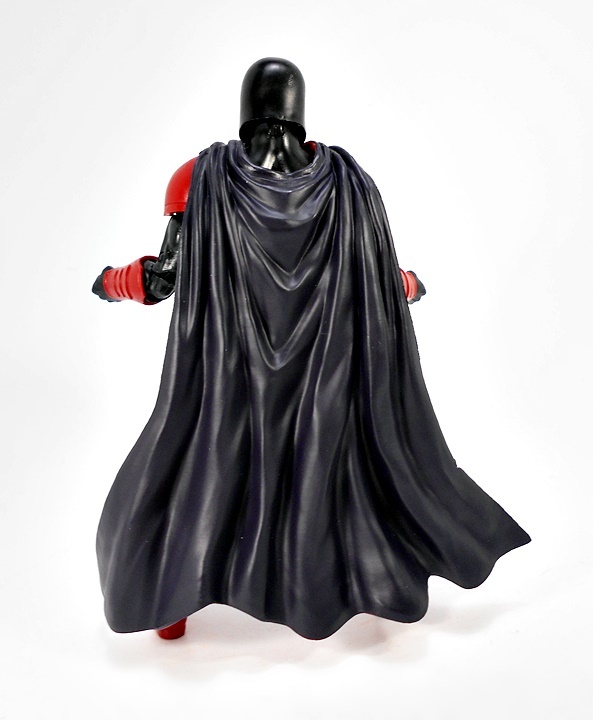 The new sculpted parts include his boots and wrist bracers, as well as the cape, which has a peg for his back, but seems to be just as happy to hang from around his neck. 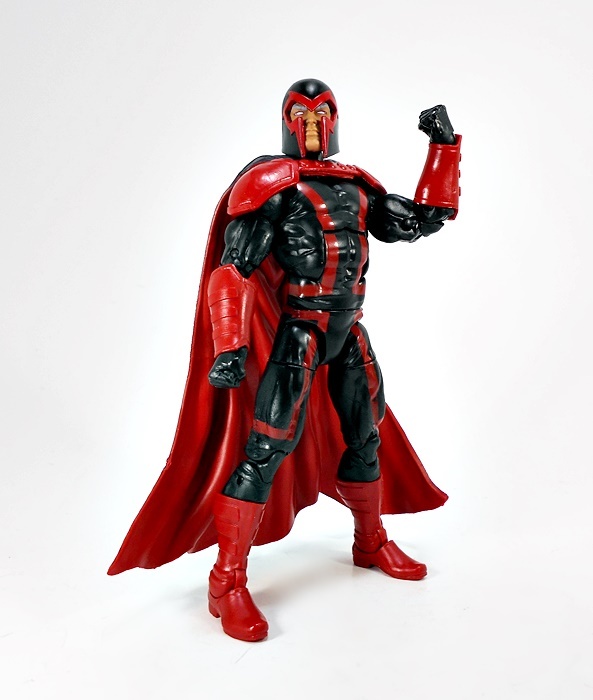 The shoulder armor and bolted cross-strap are a nice nod to his classic look, and the red inner lining of the cape compliments the snappy deco pretty well. 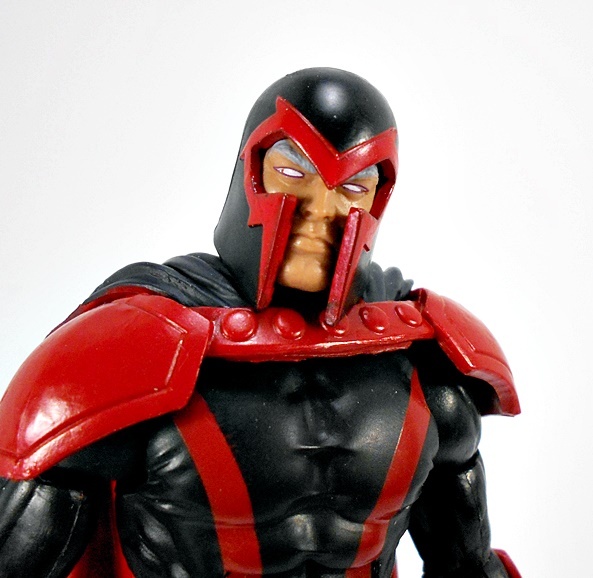 Magneto comes packaged with his helmeted head, which is excellent. The style of the helmet hasn’t changed much, it’s still a form fitting, medieval looking affair at it appears to be sculpted separately from the head and permanently attached, which adds a lot to the depth and realism of the portrait. 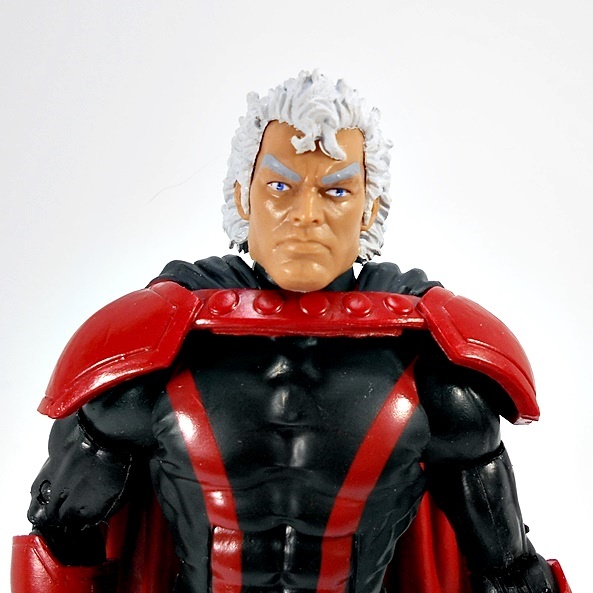 Erik’s face sculpt is fantastic, and it depicts him with pupil-less eyes. 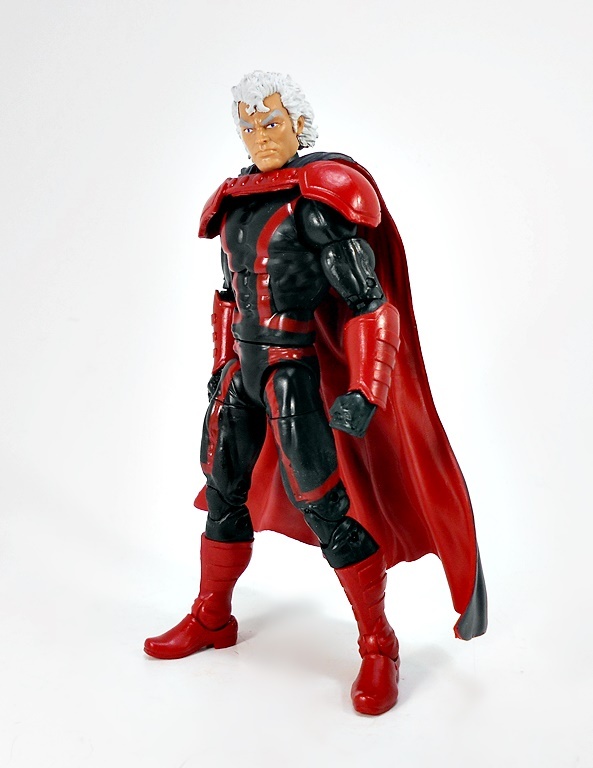 The alternative head is sans helmet, and definitely falls into the, “It’s so good that I feel bad because I’ll probably never display him with it.” Actually, this is one of cases where if the figure starts turning up cheap, I might buy a second, so I can display him both ways. 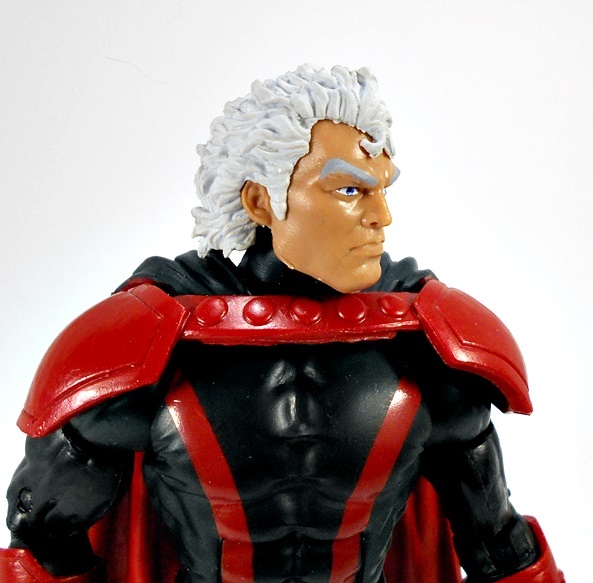 This head features the same great facial sculpt and some pretty incredible hair. 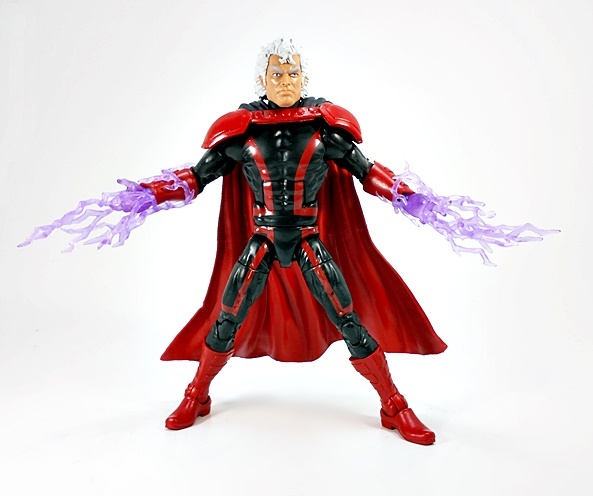 As for accessories, Magneto comes with two pairs of hands: Regular fists and a pair of translucent purple hands to go with the pair of translucent effect parts. 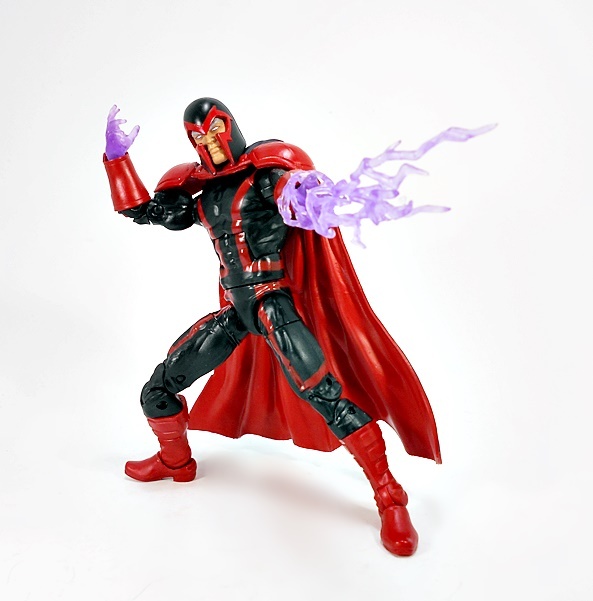 I actually dig the purple hands a lot, even if I’m not really sure that they convey magnetism all that accurately. The same goes for the effect parts, which look more like your standard Force Lightning from Star Wars, rather than magnetic powers. 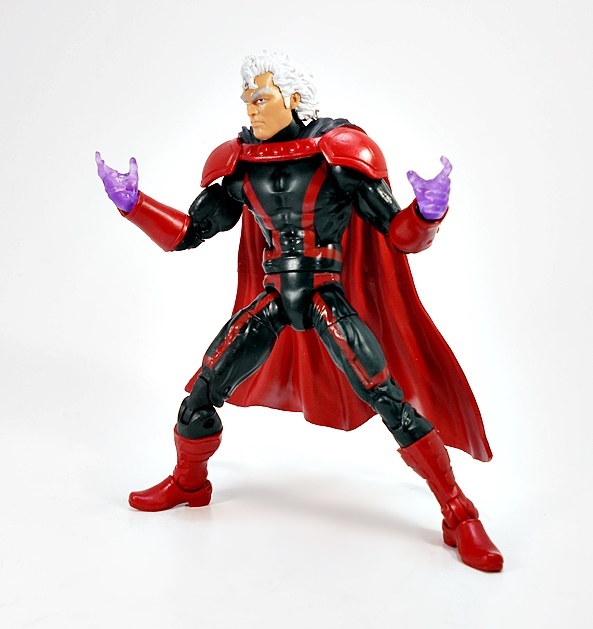 Still, it’s hard to quibble about extras and he does look damn cool wielding them. 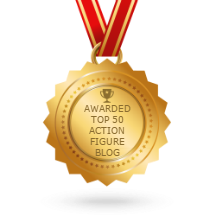 There are no surprises here where articulation is concerned. The legs are ball jointed at the hips, the knees are double-hinged, the ankles have both hinges and lateral rockers, and there are swivels in the thighs and at the tops of the boots. The arms have rotating hinges in the shoulders and wrists, the elbows are double-hinged, and there are swivels in the biceps. The torso features a waist swivel and an ab crunch hinge, and the neck is both hinged and ball jointed. 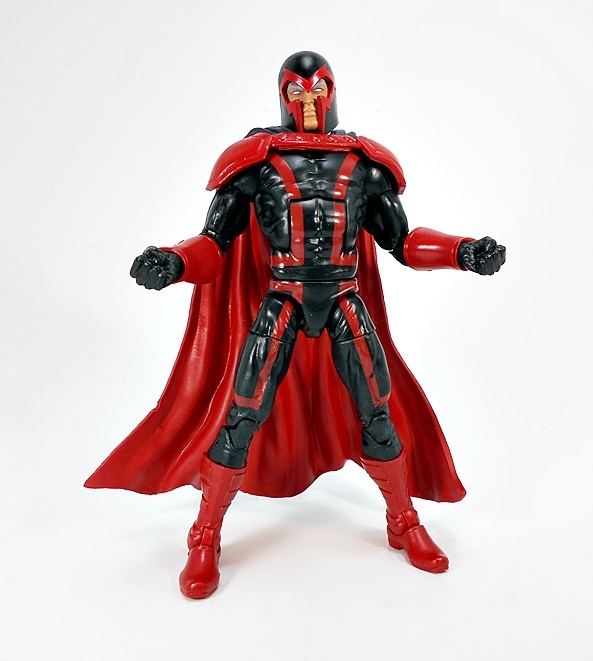 I’m sure I’m not being original by saying that I’d rather have had a classic Magneto, but with that token disclaimer out of the way, I really do like this figure a lot. 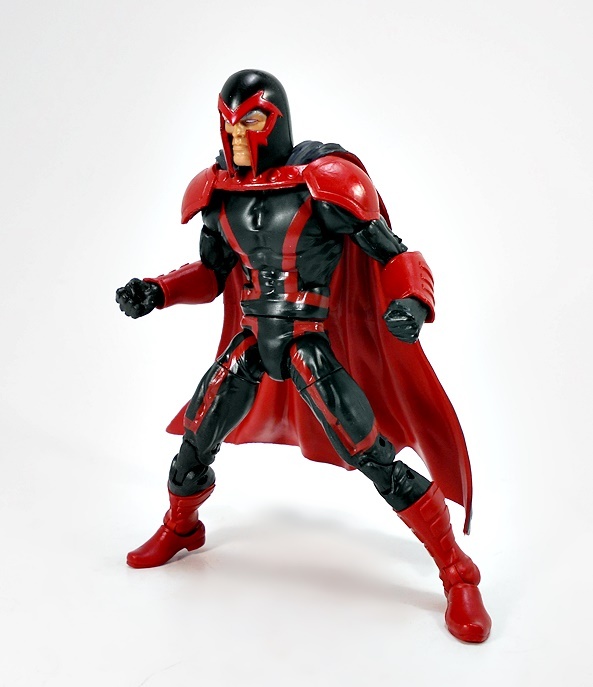 It may not really be my Magneto, but this is a costume design that I can get behind, and there’s just the right amount of new sculpting here to make it work. Toss in a couple of fantastic portraits, and I do believe this will hold me over until we can get Erik in his red and purple duds. Either way, this is a great start to what is sure to be an incredible wave! Been waiting for you to cover this wave. I really enjoyed it and was eager to hear your thoughts on it. I thought it was a good mixture of new characters I didn’t have figures for and updated versions of ones I did. Plus with the old huge Toy Biz figure, Apocalypse is my first character that I have 2 different BAF of. Oh, cool! I never completed the Toy Biz Apocalypse. How do they compare? 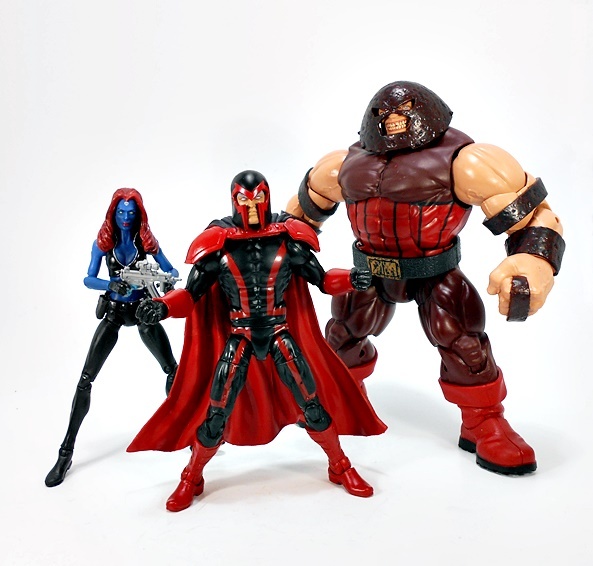 The Toy Biz one is obviously significantly bigger. And while I love it, I’ve always felt like the legs seem a bit disproportionate. Don’t have that problem with the new one. 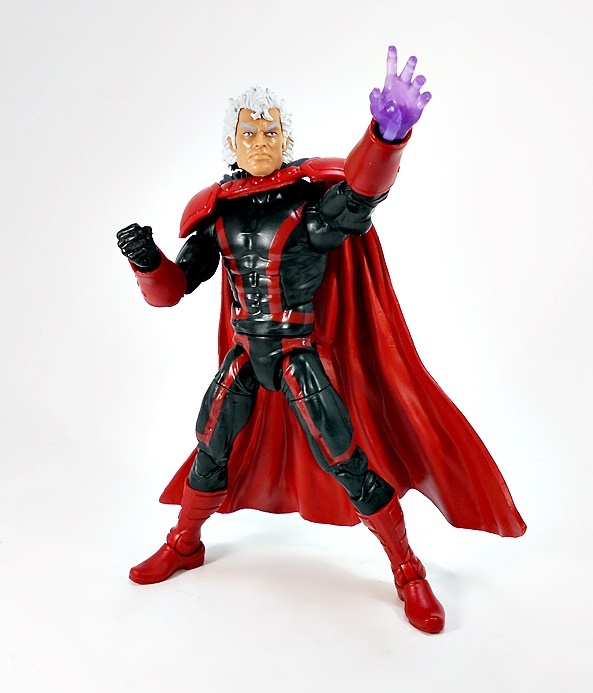 Don’t you find it annoying that Hasbro keeps giving us big name characters in costumes no one asks for? Just so we will buy them all over again when they show up in their iconic looks? Oh Hasbro, you would do so well as a dealer. Or pimp. Never thought of it that way, but I guess that’s true! Those kids need to get off my lawn. Like now.